Research on biosensors that can help India's space programme, and the role of carbon particles on climate change are among six works awarded the 2018 Infosys prize worth $100,000, the software major's science foundation said today. The Prize, given annually, celebrate the success of the recipients in science and research by recognising their achievements in each category, the Infosys Science Foundation (ISF) said in a statement. A six-member jury of renowned scieqntists and professors selected the winners from 244 nominations received in the fields of Engineering and Computer Science, Humanities, Life Sciences, Mathematical Sciences, Physical Sciences and Social Sciences, ISF said. 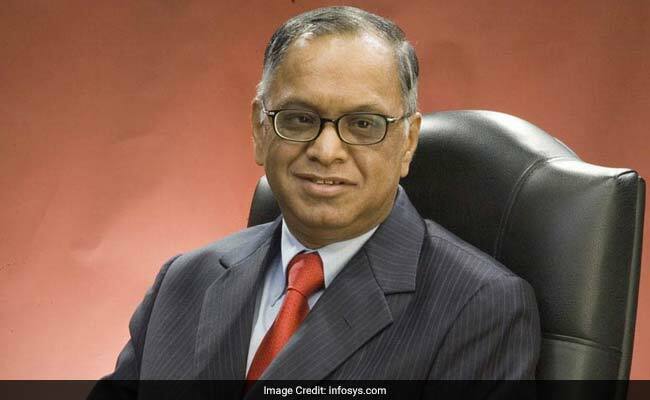 "India needs to cement its place as a hub for innovations across various fields of science," said Narayana Murthy, Trustee ISF and Founder, Infosys. "The Infosys Prize seeks to honour the efforts of some of the brightest scientists and researchers and highlight the country's ongoing quest for science excellence," Mr Murthy said. The award includes a pure gold medal, a citation and a prize purse worth $100,000 (or its equivalent in Indian rupees), it said. In the field of Engineering and Computer Science, Navakanta Bhat, professor, Indian Institute of Science, Bangalore, devised gas sensors with ultra-precise detection accuracies necessary for space and environmental monitoring, especially useful for India's growing space, atomic energy and security programmes, the ISF said. In the Humanities category, Kavita Singh, professor and Dean, School of Arts and Aesthetics, Jawaharlal Nehru University was awarded for her study of Mughal, Rajput and Deccan art. Nalini Anantharaman, professor and chair of Mathematics, Institute for Advanced Study, University of Strasbourg, France, was awarded the prize in Mathematical Sciences for her work related to "Quantum Chaos". The quantum world is the one of the deepest secrets of the universe and mathematics is the language that helps us understand this world, ISF said. In the field of Physical Sciences, SK Satheesh, professor, Centre for Atmospheric and Oceanic Sciences, Indian Institute of Science, Bangalore, was awarded for his pioneering scientific work in the field of climate change. The Infosys Prize 2018 for Social Sciences is awarded to Sendhil Mullainathan, Professor of Computation and Behavioral Science, the University of Chicago in the US for his path-breaking work in behavioural economics, ISF said. Mr Mullainathan's research has had substantial impact on diverse fields such as development, public finance, corporate governance and policy design. The awards ceremony will be held in January next in Bengaluru.